Step 1: in the first place, we have to create a new empty layer. Step 2: choose the spot healing brush. Step 3: now choose the Content-Aware mode and then select the Sample All Layers option that will allow the changes to be applied to the new layer with just created. Step 4: now apply the brush to all the objects from the photo that you wish to delete. Using this method, you’ll guarantee that you’ll carry out a non-destructive removal on an empty layer (the new one you created in step 1) and not on the original picture. Step 1: create new empty layer so as not to destroy the original picture. Step 2: select the part of the image you wish to delete whilst pressing the Alt key. Step 3: paint over the element to be removes. As you already know, Photoshop is one of the most powerful tools in terms of photo editing and enhancement. The software developed by Adobe has become a standard and that’s why it’s the option chosen by hundreds of thousands of professionals from all over the world. 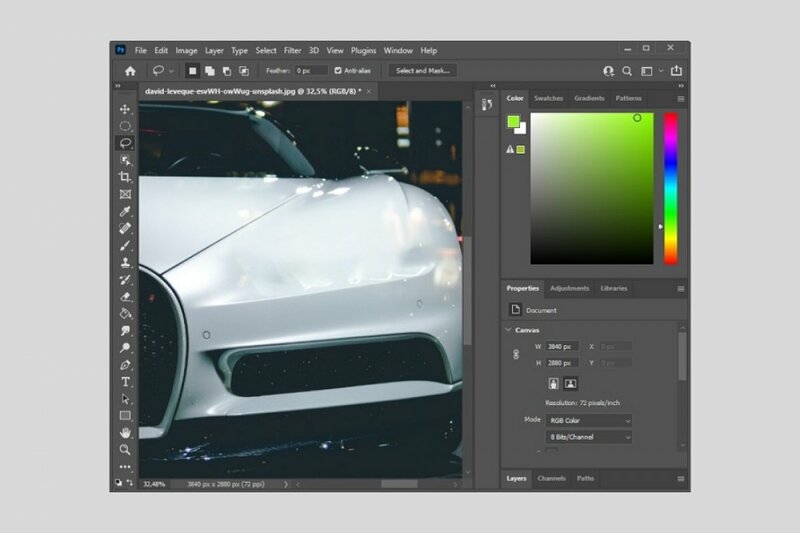 Despite being a commercial product that can be considered expensive compared to other free alternatives that offer excellent functions, the latter don’t manage to reach the same advantages as working with Photoshop. Nevertheless, there are other paid programs that are cheaper and other us similar features, as is the case of Luminar. Photoshop Portable: can it be downloaded? What is Photoshop and what's it for?